McKevitt FIAT of Berkeley features the latest manufacturer offers and incentives on all new FIAT vehicles. Discover which offers are best for you and drive off in a new car today. Looking for a New or Used FIAT in Berkeley? You’ve come to the right dealership! At McKevitt FIAT of Berkeley we provide everything automotive, with great prices and great customer service! With new or used FIAT cars from McKevitt FIAT of Berkeley you’ll get a reliable and stylish new car at a price you can afford. Call us or make the drive from San Francisco, Daly City, Alameda, Berkeley, Richmond, Oakland, Mill Valley, Hayward or San Rafael to see us in person. Have three minutes? That’s all it takes to request a McKevitt FIAT of Berkeley quick, no-hassle, online quote from McKevitt FIAT of Berkeley. We have huge dealer discounts, manufacturer rebates and incredible leasing deals going on right now! Get a Quick Credit Assessment online in seconds and get pre-approved for the car credit terms you want. Savings are just three minutes away on all of the exciting, new FIAT vehicles. 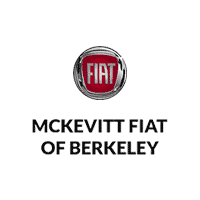 McKevitt FIAT of Berkeley in California, not only sells new and used FIAT vehicles but we offer exceptional service along with parts and accessories. From tune-ups to new breakups, whatever your service need is, the McKevitt FIAT of Berkeley Service Center can do it. We use only genuine parts & accessories on all of our auto repairs and our technicians are some of the highest trained in the area. Don’t forget to check for auto parts specials on our website before making your next purchase! The employees here look forward to your visit. Give us a call or use our step by step directions to visit the Berkeley FIAT studio with unbelievable deals and superior service, McKevitt FIAT of Berkeley.